If you are the type of person who starts sweating when you look at a bottle of sweet chilli sauce or finds the "mild" Mexican taco sauce a little too spicy - turn away and go back, here be dragons. This restaurant is for those of you who add on an extra dollop of sriracha to the 3 chilli "very hot" menu item. There is a saying in Chinese: Sichuan ren bu pa la, Hunan ren la bu pa, Guizhou ren pa bu la. This is all to say that there are people in the world who appreciate spicy food on an entirely different other level to the rest. This restaurant is for those of you. My other half does not belong to this group and flatly refused to try this place out with me, so I resorted to a visit with a select group of other spicy-food loving friends. "If you are the one" is a dating show with a side of social commentary. If you have not yet had the pleasure, you can catch the latest seasons on SBS on demand. SBS describes the show as a "cultural phenomenon." A male contestant makes his case to a panel of 24 single women through a series of pre-recorded videos as well as panel discussion. At the end of the segment, he will have either succeeded in winning a date with one of the female contestants, or leaves alone. Show host Meng Fei (aka Grandpa Meng) is the heart and soul of the show. He takes on the role of joker, referee and dating guru throughout the panel discussion, dishing witty commentary, blunt observations and romantic wisdom with equal fervour. He is now also famous for his rather successful side hustle of opening noodle restaurants across the world, bringing his hometown food (Chongqing Noodles) to the international audience. 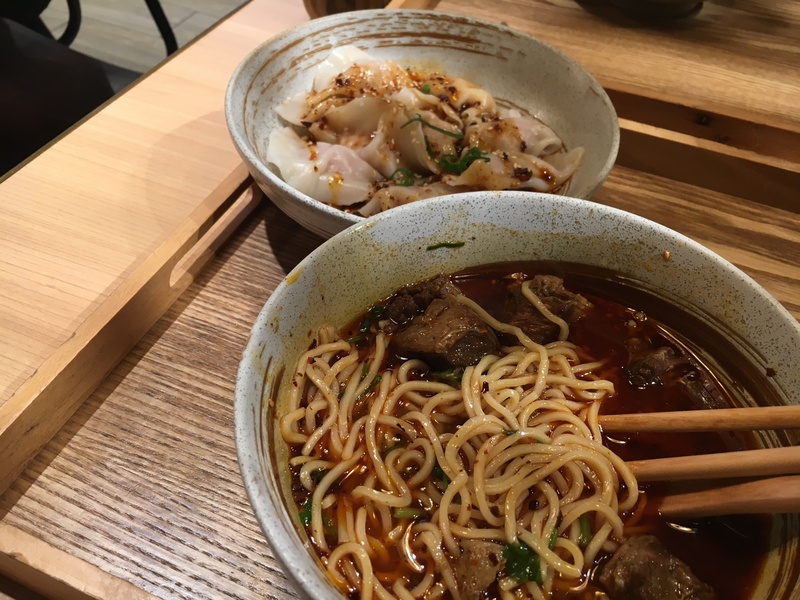 The Market City branch of Mr Meng Chongqing Restaurant opened in the newly revamped 1909 Dining Precinct (replacing what was once a highly frequented, but rather grungy international food court). 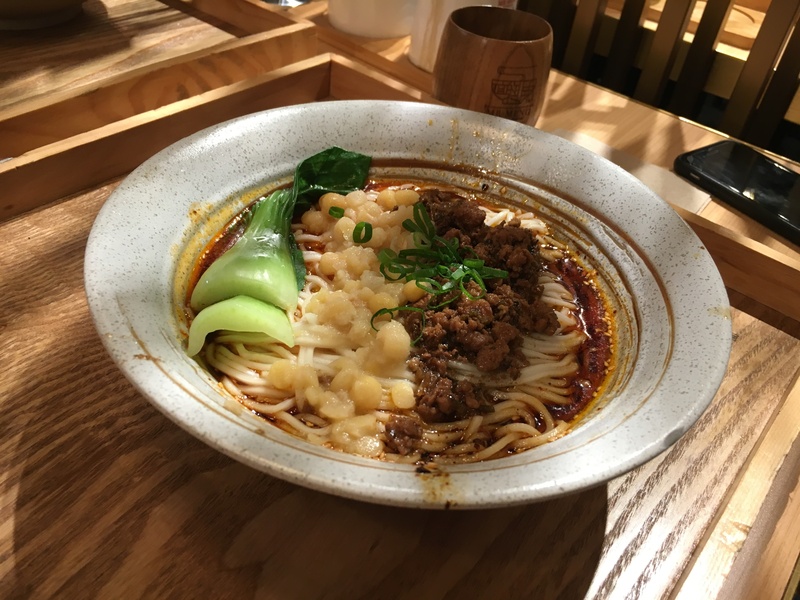 Chongqing noodles, from the same named region of China, now have a wikipedia page and are quickly joining the ranks of the internationally well known and loved noodle soup dishes (aka pho, ramen, laksa etc). However, they have a particular additional element that may keep a certain group of patrons away. A female contestant on the show said it best when she complained that people from this area are "tricksters" - when travelling in the area area, restaurant staff assured her that they could serve a dish that wouldn't be too spicy, and she could barely eat it due to the heat. On entering the restaurant, you order at the front and take your number to the table. The eatery itself is cheap and cheery and the food comes out quickly. Although all the food came out with that lovely red glow denoting the dominant flavour, I did not find the chilli to be overwhelming. I thought the flavours on the most part were well balanced. Several of us picked the spicy noodle with stewed beef, but shared and exchanged with those who picked the Signature spicy noodle with peas and pork mince. We were surprised and delighted to find that they were not made from the exact same broth - each had a slightly unique take on the chilli soup. My personal favourite was the Szechuan Dumplings (10 pcs) which we shared between us. They were tantalisingly slippery, sweet and spicy. 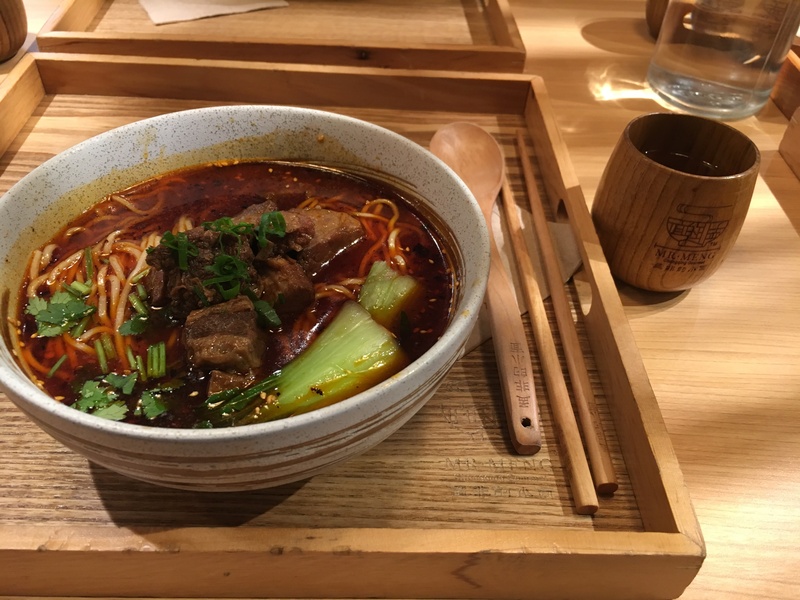 If you are a lover of spicy food, it is certainly time to give this place a try.